Ideal for business travelers, professionals and families, the PhiferSmart™ Tablet Stand is an easy-to-use, hands-free tablet stand that allows users to work, surf or play at any angle. An instant classic. The PhiferReader® is the ultimate helping hand and reading companion. 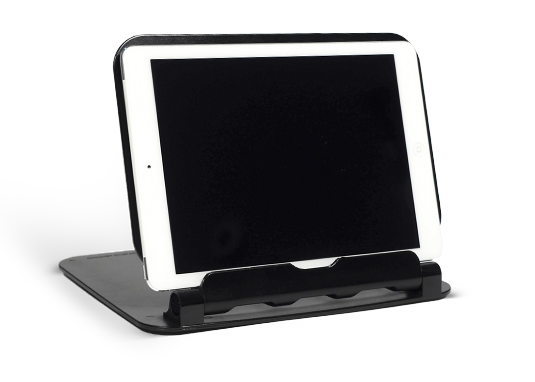 The PhiferSmart™ Tablet Stand's adjustable technology securely holds your tablet in a vertical or horizontal position. It’s the ideal tablet companion for working, watching a movie or playing games. The book holder that makes hands-free reading enjoyable. 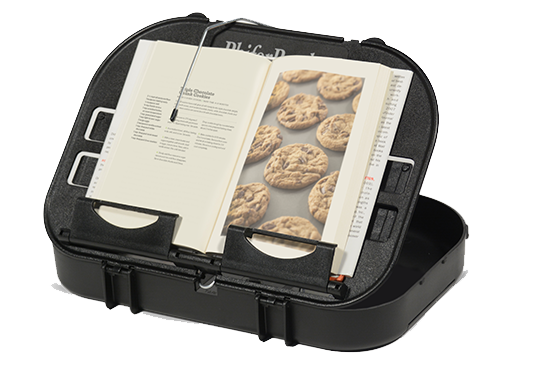 Designed to hold a book in two reading positions (vertically and horizontally), the PhiferReader® keeps reading materials secure and propped for relaxed reading. As seen on QVC, this award-winning book holder is lightweight, durable and easy to carry. Nearly 20 years ago, Beverly Phifer saw a need for a book holder when her mother struggled to hold a simple book due to arthritis in her hands. Ms. Phifer grabbed a pillow, a belt and a book - forming the very first “PhiferReader” - and watched her mother enjoy the benefits of hands-free reading. Having created the PhiferReader to enable hands-free reading while seated or lying down, Ms. Phifer almost immediately started design work on how to enable hands-free reading of a book electronically loaded into a e-reader. What has evolved is the PhiferSmart™ Tablet Stand which holds all tablet type devices, and allows one to read books or watch movies with the stand adjusted to whatever viewing angle you desire. Renaming her development enterprise "PhiferCreations", readers and viewers now have hands-free solutions for hard cover published books as well as the latest in the world of electronic tablets. Q: What are the dimensions of your products? Q: How do I place a bulk order for my store? You can become a distributor by clicking here. Do you have questions or are you interested in becoming a distributor? Please send us your information, and a Phifer Creations representative will get in touch with you. Want to talk to a representative today? Any information collected by Phifer Creations is strictly confidential. Phifer Creations reserves the right to share or expose users IP addresses in the event said user uploads unlawful content or any content violating Phifer Creations Terms of Service. Accepting these terms indicates you agree to waive any claims against Phifer Creations as a result of services and content provided within the website.